Ahoy, mateys! It’s time for Shiver We Timbers! — A Peripatetic Pick-Ye-Own Pirate Adventure, touring Bay Area parks and public spaces July 7 through August 12. Set your course to the Peripatetic Players’ website for more info, and come aboard for a swashbuckling adventure! On September 30, we accepted the invitation of artist Bethany Carlson Mann to present excerpts from Elixir of Life at the opening of Bethany’s art show, Fairytales for Feral Children, now on exhibit at the Burlington Hotel. Serena Morelli photographed the event — enjoy! — and don’t forget… Elixir of Life starts October 20! Josephine (Maria A. Leigh) holds herself aloof in a scene from ELIXIR OF LIFE (2017). Photo by Serena Morelli. Josephine (Maria A. Leigh) consults with Doctor Vitae (Julie Douglas) in ELIXIR OF LIFE. Doctor Vitae (Julie Douglas) offers a helpful tonic to Josephine (Maria A. Leigh) in ELIXIR OF LIFE. Brother Calvin (Sam Bertken) and Anita (Kristen Matia) in a scene from ELIXIR OF LIFE. Take a peek inside some of what’s inspired our development of Elixir of Life, playing October 20 – November 12. 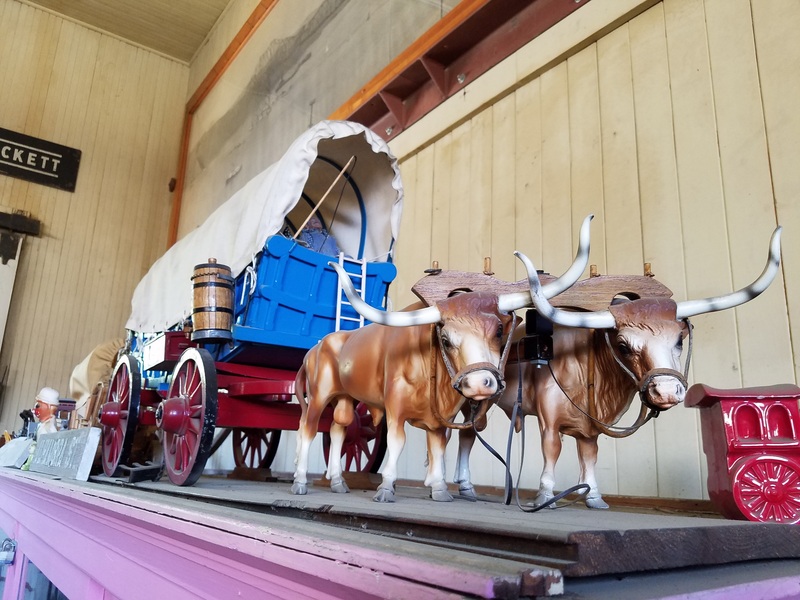 Our friends at the Bull Valley Roadhouse, Burlington Hotel, and Port Costa Conservation Society generously co-sponsored three weekends of on-site devising and research in Port Costa, California. There we had the privilege to study the history of Port Costa and the surrounding area, and to talk to residents about their experiences of living in a small community amidst the larger Bay Area. With a generous helping of poetic license, we’ve based aspects of our characters and the town of Port Promise on stories we’ve gathered in Port Costa, and hope to honor Port Costans sense of pride in their community and sense of connection to one another in the themes of our play. Some photos from our time in Port Costa: (l-r) examples of artist Wendy Addison’s Victorian-inspired poster designs for her shop, Theatre of Dreams; two photos (both courtesy of Wendy Addison), one featuring some Port Costans around the turn of the century; the other a circus parade through town (notice the elephant!) from the early 20th century; and the Elixir workshop ensemble outside the Port Costa School. A sampling of posters and cards created by Wendy Addison for her Theatre of Dreams. Vintage Port Costans in front of their shop. Photo courtesy of Wendy Addison. The circus arriving in Port Costa, California, circa 1915. Photo courtesy of Wendy Addison. Elixir of Life workshop cast in Port Costa, May 2017. More oddities and artifacts from the Crockett Historical Museum. 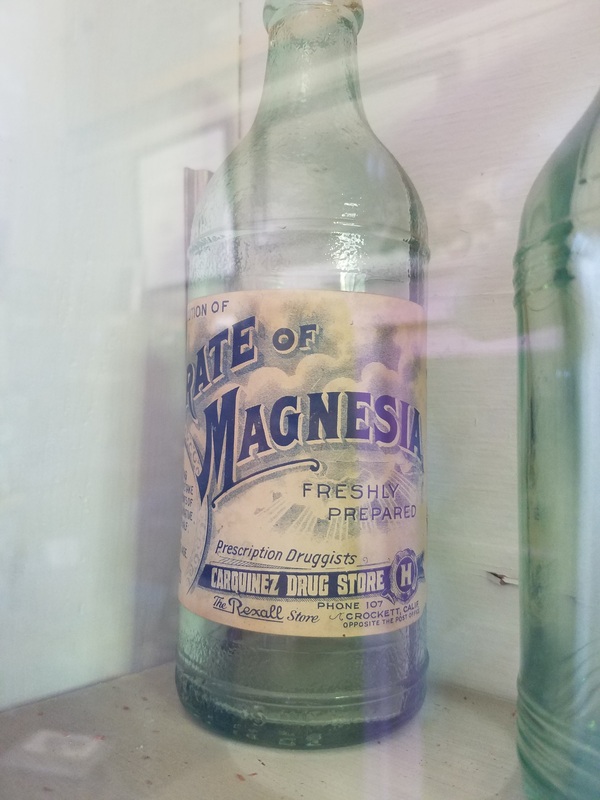 A vintage Carquinez Drug Store bottle on display at the Crockett Historical Museum. 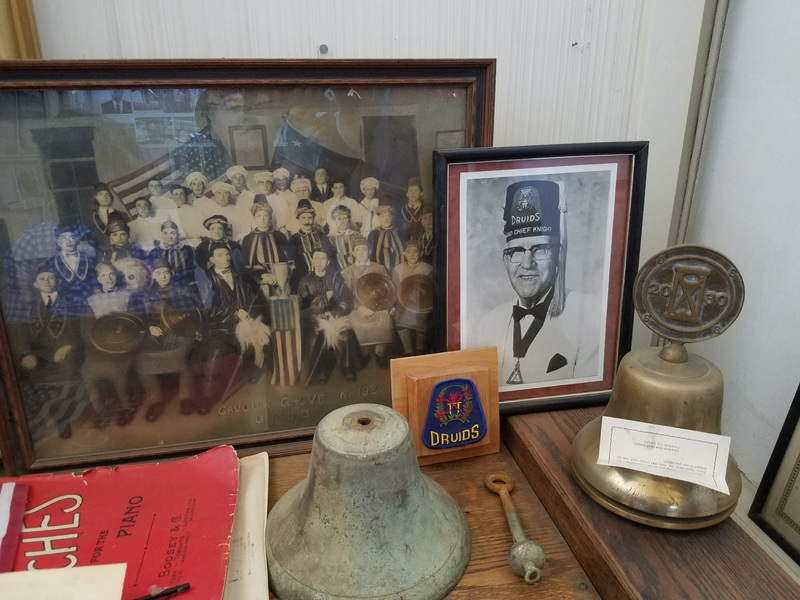 Mementos and ephemera from fraternal orders, such as the Druids, on display at the Crockett Historical Museum. 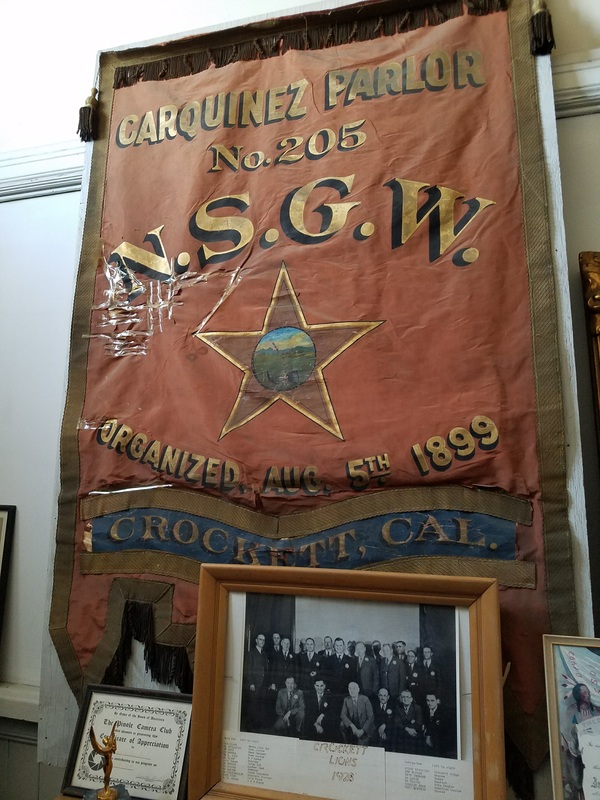 Native Sons of the Golden West artifacts from the Crockett Historical Museum. This is a small sampling of some of our inspirations and research… we hope you enjoy exploring them as much as we have! Happening just a moment from this writing, the Peripatetic Players will conclude their 2016 tour of Shakespeare or Space Wars with a weekend-long mini-festival in Port Costa, Flux Fest ’16. We’re just pleased as punch that the Players are now officially fictionally Port Costa’s resident traveling troupe of thespians, and we’re looking forward to creating all kinds of lore and faux ephemera to document our years in that fantastic hamlet. The Peripatetic Players perform Shakespeare! On November 8, 2014, the Samuel Peaches Peripatetic Players debuted a new performance: their impromtu version of Romeo & Juliet! Read all about it at the Aesop Amuck blog… Source: The Peripatetic Players perform Shakespeare! Aesop Amuck opens this Saturday, August 1 at DeFremery Park in Oakland — then we travel to seven more parks and public spaces throughout the Bay Area until August 23. Come along and join the fun! All shows are free of charge — though donations are gratefully accepted! For Hatch, I created a site-specific solo piece called City Creature on the Cascades based on City Creature research and musings. It was created and staged on February 28, 2015 at Joaquin Miller Park in Oakland. Enjoy photos and what I could re-create of the script at the link to the Hatch Performance Collective’s website. The 2014 Tour of O Best Beloved aboard FluxWagon has begun! We’ll be at parks and public spaces throughout the Bay Area through September 14. More details are at the O Best Beloved website. You can also connect with the ensemble via Facebook and Twitter. We hope to see you outside this summer!